We really hope you enjoy looking at our modest website and understand our passion, love and commitment that we have for our dogs and the future of the Rhodesian Ridgeback breed. If you would like any more information do telephone or email us. "Warning. 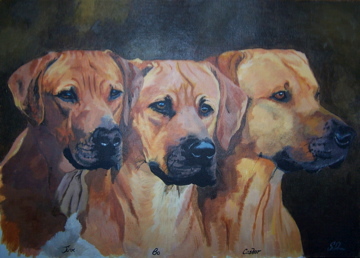 Once you have owned a Rhodesian Ridgeback, you will never be satisfied with anything less".